Everyone who’s everyone knows that sous vide is the hottest (no pun intended) way to cook a steak these days. With the Anova Nano Sous Vide Precision Cooker, this advanced culinary art is made simple — and affordable. As a part of Amazon’s Cyber Monday Deals Week, the Anova Nano Sous Vide Precision Cooker is 35 percent off its typical price — down from $99 to $64. In case you’re new to this side of cooking, sous vide is the art of cooking a product that is sealed in an airtight container in warm, yet not boiling water. In order for sous vide to work, the temperature of the water must be stringently regulated, which is where the Anova comes in. 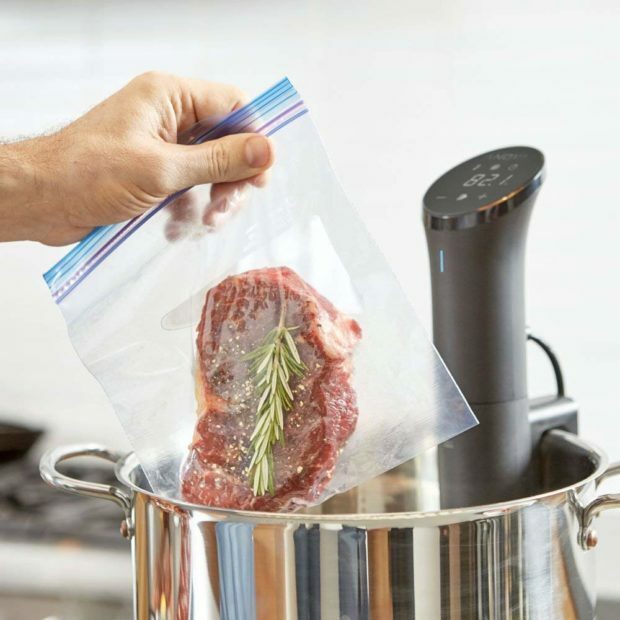 This sous vide machine is designed to keep its water at the precise temperature set by the user — in fact, Anova claims that those cooking with the Nano Precision Cooker can expect accuracy within 0.1 degrees. But most importantly: this ain’t your papa’s sous vide machine. 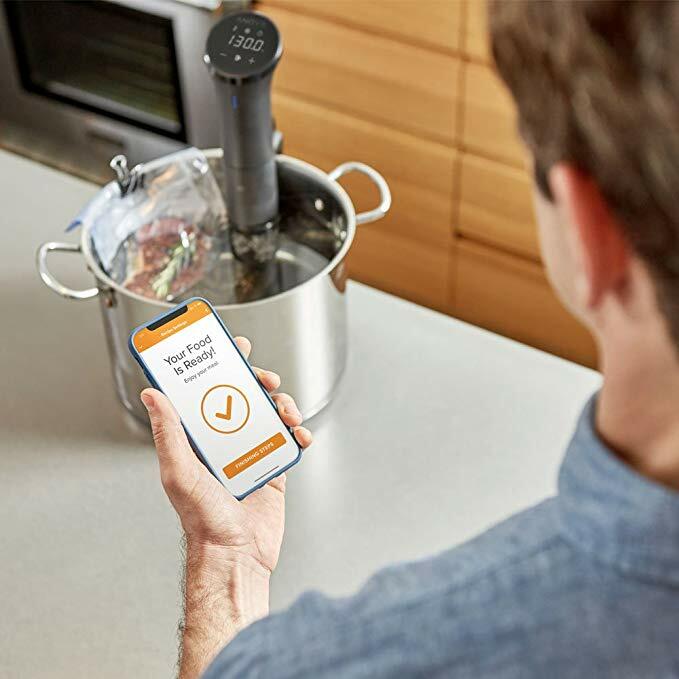 This gadget can be fully controlled from the intuitive Anova app, which can be used to monitor and regulate temperature, allowing the home chef to be free from the ball-and-chain of watching a steak sit in a bowl of water. While not everyone is on the sous vide train just yet, the advocates for this style of cooking are loud and proud. If you’ve ever wanted to give it a whirl, or want to expand your sous vide repertoire, the Anova Sous Video Precision Cooker is easily one of the best and most affordable ways to do it. The Anova Sous Video Precision Cooker is down from $99 to $64.